Property owners, managers, and maintenance crew are, by the nature of their positions, responsible for the safety of the property they are in charge of maintaining. When properties aren’t properly maintained, a variety of hazards can appear, including icy footpaths, broken stairs, slippery puddles, wrecked floors, and many other dangers. Any of these can lead to a slip and fall accident, trip and fall accident, or other type of injury incident. When a person neglects to maintain a safe property or fails to quickly respond to hazardous situations, those who are injured as a result can hold property maintenance people responsible for losses. Premises liability law in California states that property owners and tenants are responsible for keeping their property hazard-free and warning others of dangers present. Property hazards often result in slip and fall or trip and fall accidents, leaving victims with severe injuries that require medical attention and long-term recovery. If you’ve been injured due to property owner negligence, whether they did not warn of a hazardous situation or failed to repair a dangerous condition, the Anaheim California premises liability attorneys at A1 Accident Lawyer can explain your legal right and options. Call us at (714) 535-5090 for a consultation. Naturally, slipping, tripping and other falling accidents aren’t always a laughing matter. In fact, they are often dangerous. Falling accidents can actually cause serious injuries, such as traumatic brain injuries, spinal cord damage, and even death. That is why California law requires property owners to take reasonable care to ensure the safety of their premises. Unfortunately, some property owners or managers fail in this regard and the result can be catastrophic. Invitees – Property owners who run a business are strictly liable for maintaining a safe environment for potential customers and visitors. Businesses must actively prevent or repair dangerous conditions in a timely manner or give clear warnings to protect against accidents. Social Licensees – Social guests and visitors who have permission to enter a public property, but who are not there for business purposes can still hold the property owner responsible for accidents that occur due to unsafe conditions. Trespassers – Property owners do not have a responsibility to fix dangerous conditions or provide warnings for the sake of potential trespassers. Unless the property owner has reason to believe that other people might enter the property without permission, he or she may not be liable for accident injuries that occur to trespassers. No matter what type of accident you have been involved in on another person’s property, it will be necessary to identify whether the property owner caused or contributed to the accident in the first place. An Anaheim injury lawyer can help you explore your options for legal action. Should I Take Legal Action in California? After you or a loved one has been involved in an injury accident, it is understandable that you may want to put the incident behind you. But in the event that you or someone you care about has suffered serious injuries, moving on simply may not be possible. Depending on the severity of the injuries, you may need to undergo costly medical treatments, miss time at work, and even lose physical or mental abilities. When another person is responsible for such damages, it is crucial that you take legal action to not only hold the liable party accountable, but to also obtain rightful compensation. Do not forfeit your right to receive financial support. With a dedicated Anaheim premises liability attorney on your side, you will be able to focus on your recovery as your legal representative works on your behalf and handles the complex and often frustrating legal process. The experienced legal team at A1 Accident Lawyer have been successfully representing California injury victims for over 23 years. We are passionate in our mission to fight for the rights of injury victims and will take a personal interest in your case. But, it is important to act quickly, as the statute of limitations for filing a personal injury claim is limited. 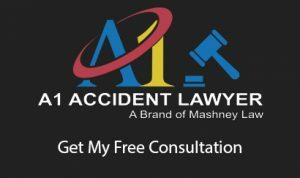 Call A1 Accident Lawyer today for a free consultation by dialing (714) 535-5090.